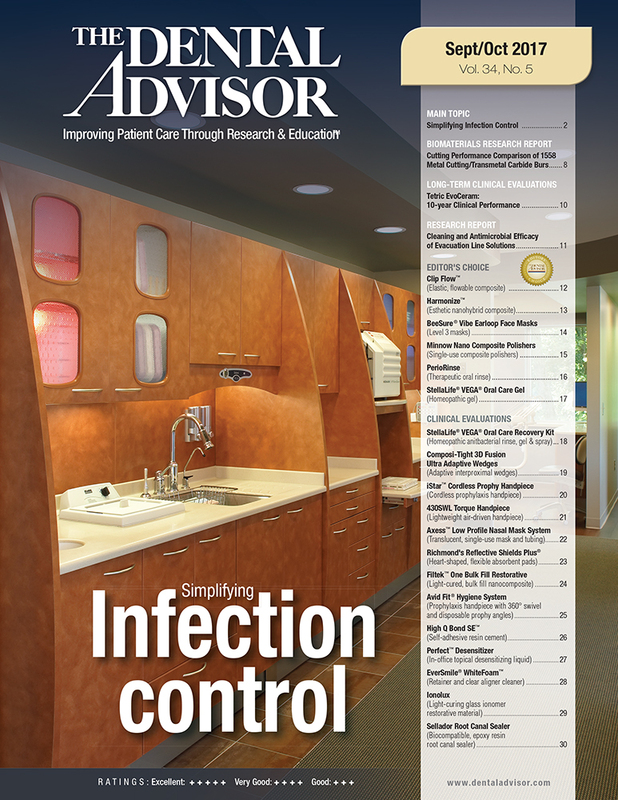 The Avid Fit Hygiene System was evaluated by 12 consultants, and was used 512 times in total. Adult and pediatric-sized prophy cups. Handpiece is adaptable to any hand. Prophy angle webbing improves flare – reduces splatter and vibrations. Prophy angle streamlined body style improves patient comfort. Prophy angle does not contain natural rubber latex. Prophylaxis procedures in pediatric and adult patients. The Avid Fit ® Hygiene System consists of the Avid Fit ® Hygiene Handpiece and the Avid Fit® Disposable Prophy Angles. 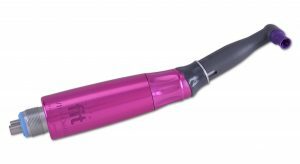 The Avid Fit® Hygiene Handpiece is a prophylaxis handpiece that weighs just 2.61 ounces. It is designed to be ergonomically advanced, it has nine divots on the handpiece for a natural grip, and adapts to any hand. In addition, the Handpiece has a full 360 degree swivel and the nose cone can be tilted up to 20 degrees in any direction to improve access to hard-to-reach areas while encouraging neutral hand position. The torqueing feature allows adjustment to the tension of the nose cone movement; set it once and go. The handpiece motor is autoclavable, except for the locking seal, which must be wiped down with an EPA-registered disinfectant wipe or cold sterilized in a high-level disinfectant. 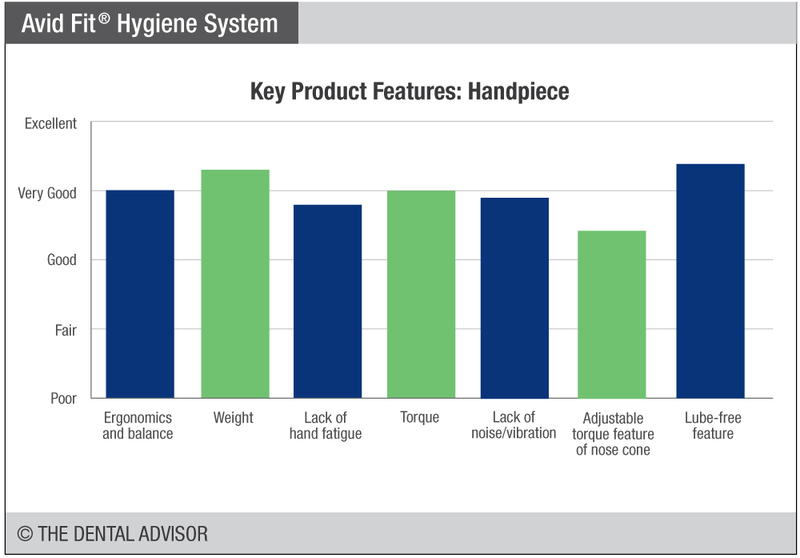 The Avid Fit Hygiene Handpiece is also lube-free, although it is stated that the drive mechanisms can be oiled after each sterilization cycle, once a week or after every 20 uses. Avid Fit Disposable Prophy Angles rotate smoothly to help improve ergonomics by reducing vibration. They feature modified webbing on the paste cup that allows for optimal flare, reduced splatter and adaptability/accessibility below the gum line. 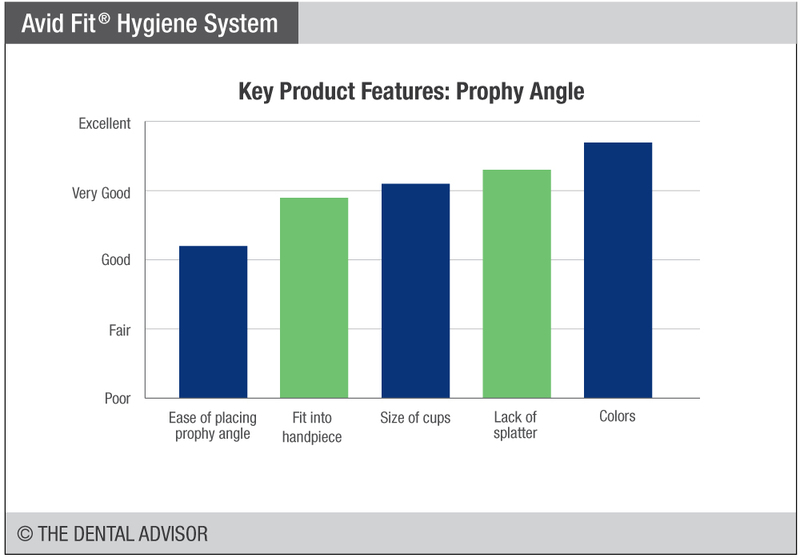 Avid Fit Disposable Prophy Angles can be used with any low-speed hygiene handpiece with a straight standard nose cone. They are available in a soft cup for adults or mini soft cup for pediatric patients. Each package of prophy angles contains angles with pink, purple and teal cups.